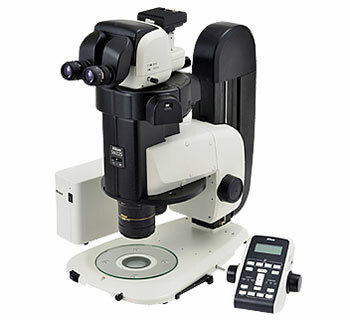 Nikon’s SMZ25 research stereomicroscope combines macro and micro imaging in one instrument for convenient viewing and manipulation of single cells to whole organisms. Using Nikon’s Perfect Zoom System optical technology, the SMZ25 achieves the world’s first 25:1 zoom and high NA for superior resolution. Using these innovative optics and a fly-eye lens, crystal clear fluorescent images with improved S/N ratios are possible, even in low-excitation light applications such as cell division. Additionally, even at low magnifications, the SMZ25 has a 35mm F.O.V, allowing users to capture an entire 35mm dish with uniform brightness.